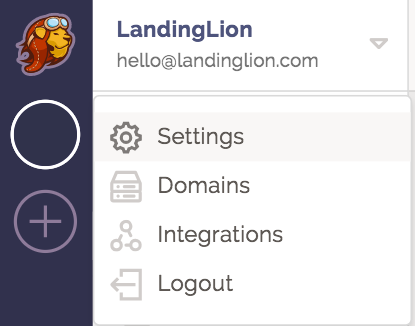 You will find User Settings in the Left Pane. Here you can change your profile information and password. ⚠️ Note: The email you enter serves as your login credentials. 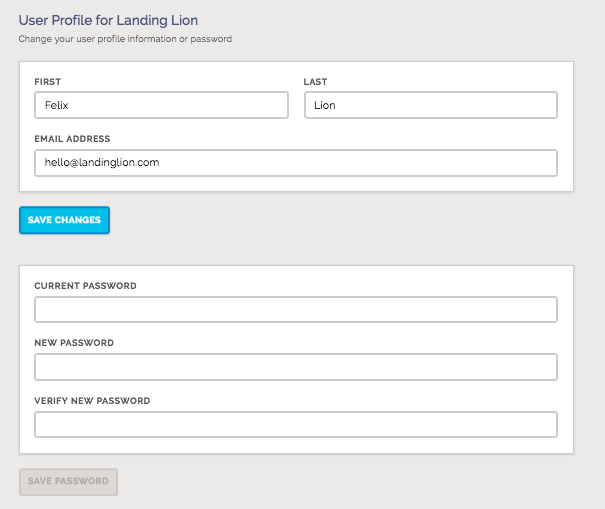 This email is also where you will receive notifications about your Landing Lion account. 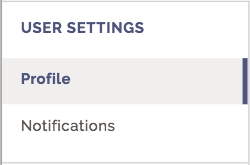 Your Notification Settings are on by default. As an user, you will get notified via email when a visitor submits a form on any of your pages within your Workspaces. You can change the frequency of emails by number of days, hours or minutes. To turn it on or off, click the toggle on the right.